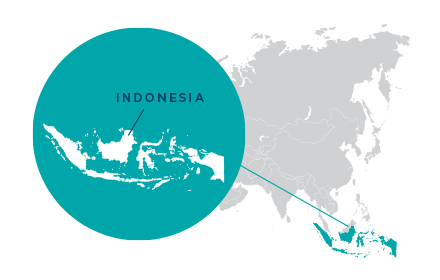 Following the successful Indonesia Cooperative Business Development Alliance (ICBDA) project, the Feed the Future Sustainable Cooperative Agribusiness Alliance (SCAA) will improve long-term smallholder farmer livelihood opportunities in eastern Indonesia. 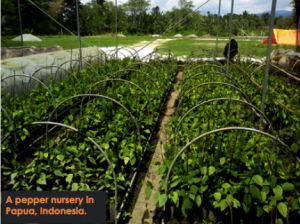 The project seeks to expand the capacity of local farmers and government officials in Papua and South Sulawesi provinces to access better planting materials, sustainably produce and process high-value crops, and connect to international markets. The SCAA project will partner with international and national agribusiness firms, successful Indonesian cooperatives, and government research organizations to further develop value chains for vanilla, pepper, cloves and other crops. 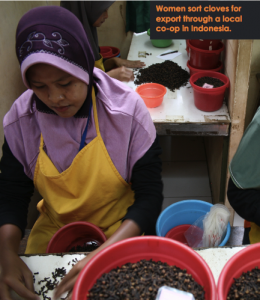 Partners include Cooperative Business International (CBI) (which NCBA CLUSA established to give cooperatives access to worldwide markets in the 1980s) McCormick International, and PT AgriSpice Indonesia locally. These companies and another cooperative, Nimboran Kencana, will act as the buyers, processors, and marketers for farmers’ agriculture products. Following the successful Indonesia Cooperative Business Alliance (ICBDA) project, NCBA CLUSA will continue to support cooperatives in Indonesia with a new $2 million Feed the Future USAID project in the region. Cooperative members, community leaders and the local government expressed the wish that the ICBDA project continue with an added focus on environmental protection. The SCAA project will strengthen local farms and private sector organizations, enhancing sustainable production of high-value crops such as vanilla, white and black pepper, cloves, and other agroforestry crops. This will contribute to enhancing the biodiversity in key landscapes and developing over 1,000 viable jobs in the agriculture sectors of harvesting, processing, transport and marketing. All of this will be supported by the strengthened human resources and technical knowledge from farmer organizations and cooperatives. Providing sustainable incomes for farmers in the Eastern region of Indonesia will also help to address environmental degradation in the region. Many farmers’ incomes are affected by the reduction of cocoa in the region, due to disease, which means illegal log extraction from neighboring national forests is a tempting way to supplement inadequate agricultural production incomes, causing deforestation. With incomes from this new crop diversification, farmers will have less incentive to deforest their land, contributing to Indonesia’s national development plans.